This blog post was submitted by David Szili, an independent IT security consultant based in Luxembourg. 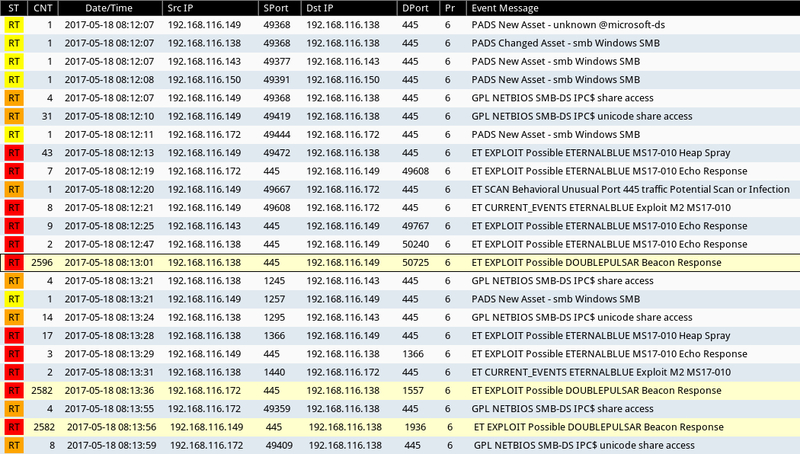 David had emailed a pcap from his test environment with traffic showing WannaCry ransomware spreading using the EnternalBlue exploit. I thought this would make a good guest blog, so enjoy! The WannaCry ransomware sample was lanched on 192.168.116.149 (DFIR_Win7_x86), and it propagated to the other Windows hosts (see images section below). Below is a screenshot taken from a Security Onion server monitoring traffic for hosts in the test environment. It's using the EmergingThreats Open ruleset. 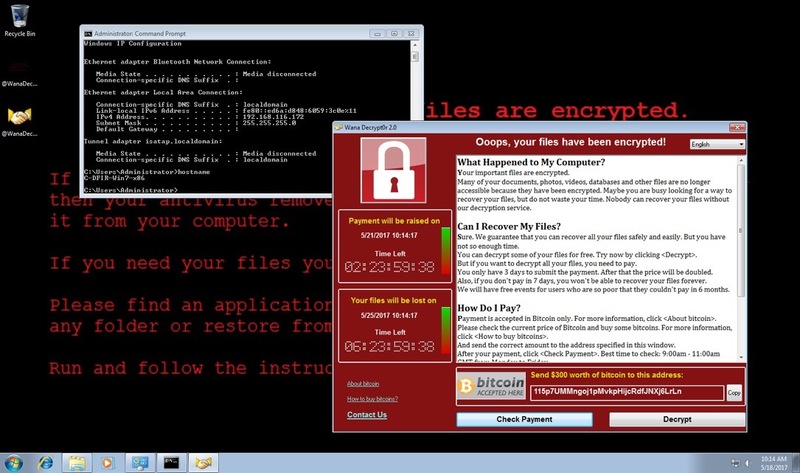 Shown above: Desktop of infected Windows 7 host, hostmame: DFIR_Win7_x86. 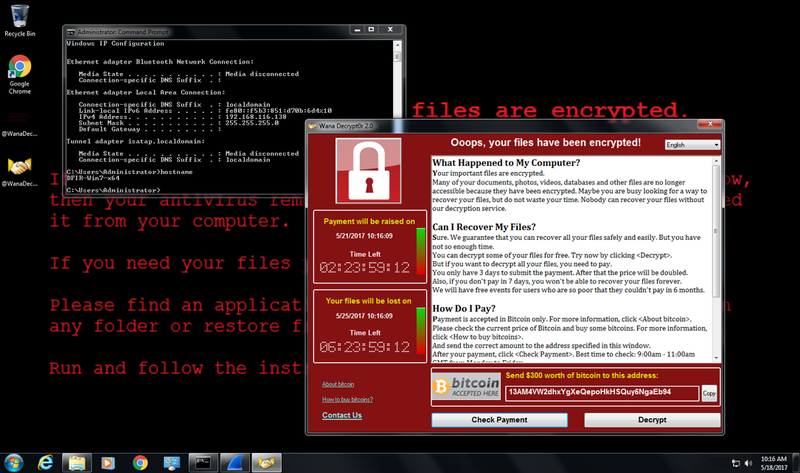 Shown above: Desktop of infected Windows 7 host, hostmame: C-DFIR_Win7_x86. 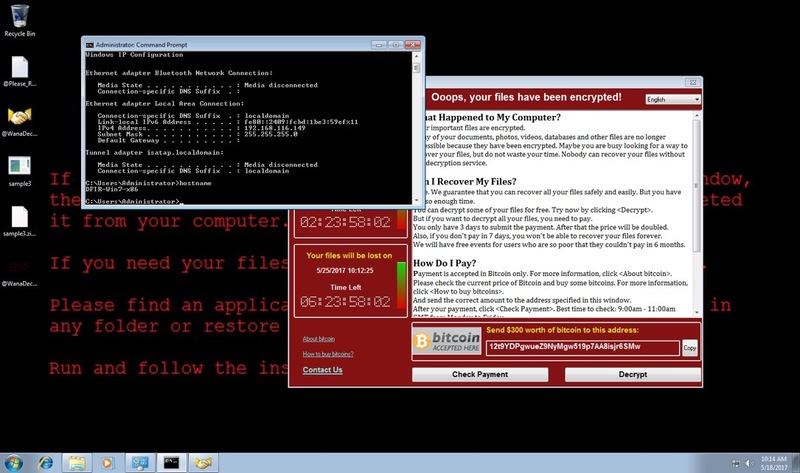 Shown above: Desktop of infected Windows 7 host, hostmame: DFIR_Win7_x64.